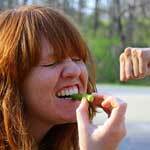 Asparagus Side Effects – Bloating, Gas and Urine Odor! 1. 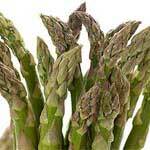 Detoxification- One of the biggest asparagus benefits is that this vegetable helps detoxify the body. Asparagus contains large amounts of potassium, which eliminates toxins and helps eliminate stubborn body fat in the belly. 2. Delay in Signs Of Aging- Both the vegetable form and asparagus extract can help fight the effects of aging.